We are unbeatable on quality and price. We are fun and personable. We want you to have a great time. 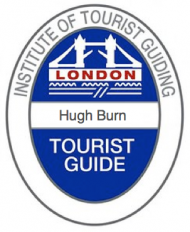 Blue Badge Guide on every tour – no unqualified guides, ever. We accommodate any group size. Versatile and experienced with a variety of group types: families, language students, school groups, corporate entertaining. All tours in English – no headset translations, but we will endeavour to source you a guide in any other required language. We are a favourite with English language schools and many corporate entities. Meet your guide at a location of your choice. How do I book a Windsor Tours tour? Do you have your own coaches? Most of our clients are either booking a brief tour on foot or come on their own coach. If required we do our best to put you in touch with a good coach operator. To keep the tours personal, we recommend keeping numbers to the 16-seater or the 25-seater. However Hugh is well experienced with larger groups too. The largest coach he worked with is a double-decker (79-seater). You can discuss and agree this with your guide at the time of booking. This can also be pre-agreed with your guide. We’re flexible. This is the part you can customise. Wherever possible we try to secure group rate entry to attractions for you. Entry fees are to be advised when we confirm your booking. For longer tours we try our best to factor in some time off for you to enjoy lunch in a traditional English pub (NB the cost of lunch is not included in our fees). You can cancel up to 72 hours before the tour for a full refund. Only folding wheelchairs can be taken by the coach. For walking tours we can research a wheelchair suitable route. Please advise us of your requirements in good time before your tour.